Mummy has 2 twins, a Day Evil Twin (called Day ET) who is my Godma, and a Night Evil Twin who is my Pediatrician. All of them look very different. My Godma’s hair is shorter than mine and sometimes when she plays golf, she gets mistaken for the boy caddy. My Pediatrician looks more patient than Godma and Mummy. Actually I can spot other differences but Mummy says no need to discuss those! 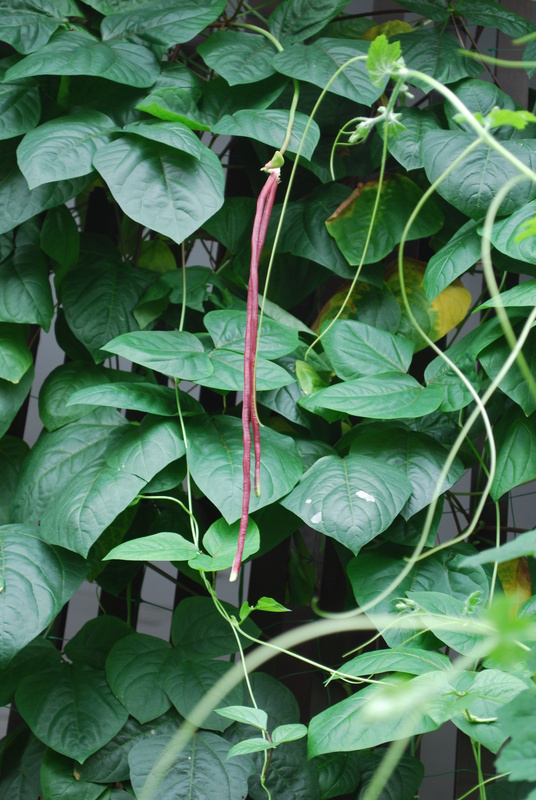 We have twin purple long beans. The flowers came out at the same time, but somehow one grew faster than the other when they became beans. See? This entry was posted in Godma, Long Beans, Pediatrician and tagged Long Beans by Growing Like a Weed. Bookmark the permalink.